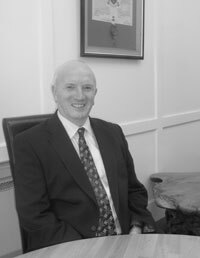 Eoin O’Connor is a partner in O’Connor McCormack Solicitors (originally founded as Eoin O’Connor and Co in 1986.) In September 2016 Eoin celebrated thirty years of serving clients in the Leinster area. Lecturer in Collaborative Practice/Family Law with Law Society of Ireland. Chairperson of ACP (Association of Collaborative Practitioners of Ireland). Member of Mediators Institute of Ireland. Experienced Collaborative Practitioner and Mediator. Eoin has acted in many commercial law cases, substantial personal injury cases and serious criminal trials. He has a wealth of experience in the High Court, Circuit and District Criminal and Civil Courts. Eoin has vast experience in the area of Criminal Law and is always in attendance in Naas District Court and Athy District Court. As well as dealing with all areas of general practice, Eoin specialises in the areas of Family Law, Collaborative Family Law and Mediation. He has a reputation for attaining the correct balance between robustly representing clients and using a conciliatory approach to negotiate settlements. He has an extensive family law client base having advised clients in relation to separation and divorce matters for many years. Eoin is a co-founder of the Kildare/Wicklow Collaborative Law Association which provides an alternative procedure for the resolution of marriage break down without the necessity of Court proceedings. 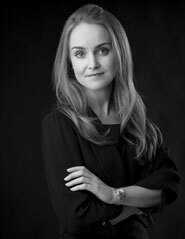 Oonagh McCormack, qualified as a solicitor in 2008, and became a partner in the firm in 2011. Member of Network Ireland; Naas Branch; for women in business, the professions and the arts. Oonagh has experience in a wide range of legal services and provides clients with advice regarding personal injury cases, business law, employment law, property transactions and disputes, litigation, wills and probate matters. With over thirty years of a background as a solicitor Pauline has vast knowledge of conveyancing matters. Pauline has considerable experience across a wide range of property transactions.She has specialised in residential conveyancing, commercial property developments and transactions in addition to landlord and tenant matters. She is also very experienced in relation to Wills, succession planning, probate, will disputes and the administration of estates. Patrick undertook a traineeship with Eoin O’Connor and qualified as a solicitor in April 2013. He deals with all areas of general practice. Lisa is a qualified Legal Executive and holds membership of the Irish Institute of Legal Executives. Lisa has extensive experience in all areas of general practice, specifically residential conveyancing. Colleen holds an Honours Degree in Law from Carlow Institute of Technology and has undertaken post graduate studies in Criminology. Colleen assists Eoin O’Connor and works in litigation and family law in particular. John joined the firm three years ago and is an assistant to Oonagh McCormack. He has experience in all of the firms practice areas. Maeve has worked with the firm on a part-time basis for three years. She assists with IT functions, book keeping and general office administration. In addition to the solicitors in the firm, we have assembled an experienced team of staff in our office. We are also assisted by a panel of Barristers, Accountants and Engineers who have worked with us for a number of years and continue to assist us in providing expert and dedicated advice and services to clients over a wide range of legal areas.